Here is a special order Birthday card I created which fits in with this weeks challenge over on the What Will You Stamp challenge blog. 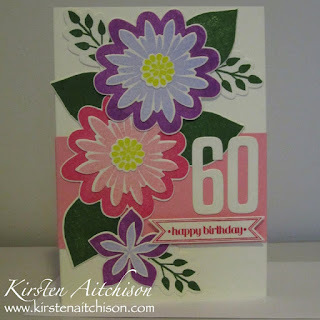 This weeks challenge is to create a card using the Flower Patch stamp set. 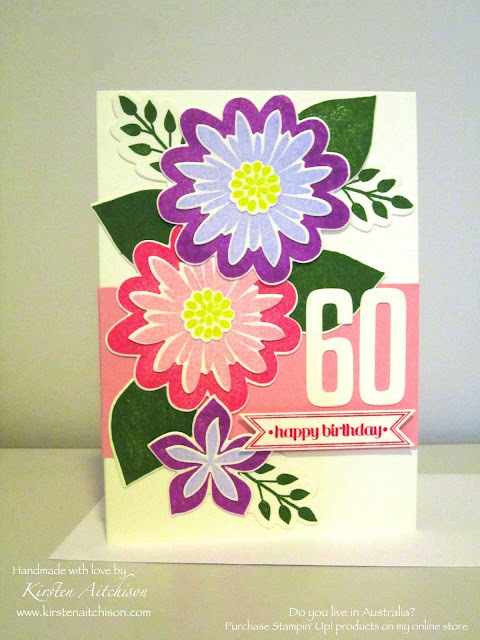 My card was a special request for a 60th Birthday. 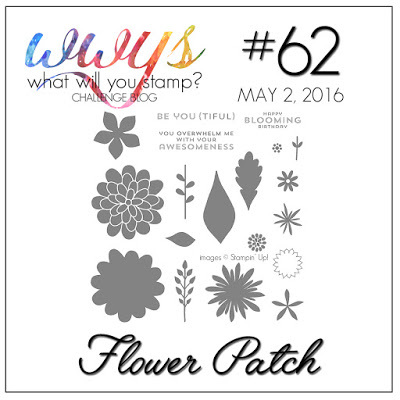 The only criteria specified was for a flower theme. I was very happy with how this one turned out and I hope you like it too. I love your layout and your bright, bold colors are striking! I'm sure the recipient absolutely loved this! Thanks for playing with us this week at What Will You Stamp! LOVE it!! Those bright colors are beautiful, and I like how you "grounded" them all with the strip of soft pink! Great job! Thanks so much Tammy. I love the pink stripe too :) I continued it across the back of the card so it is nice to look at from the back as well.